Maple Lawn, MD | July 21, 2016 Ms. Kamins has been featured on the Actual Innocence podcast speaking on the criminal appellate process. 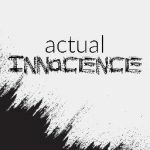 Actual Innocence is a podcast featuring true stories of people who were incarcerated for crimes they did not commit. Ms. Kamins along with two other law professionals cover topics including the nature of criminal defense, the importance of criminal defense attorneys and prosecutors, and the appeal process. 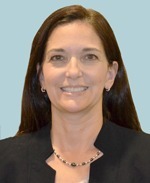 Ms. Kamins has been practicing criminal law for two decades and has seen countless state and federal criminal appeals. Part 1 of Ms. Kamins' segment can be found here. Ms. Kamins’ career as a criminal defense attorney consists of a nearly two decade, diverse criminal practice. In 2004, Ms. Kamins went into private practice where she represented criminal defendants in a number of different and state and federal criminal appeals. She has also handled post conviction and coram nobis cases, sentence modifications, a wide variety of post-trial and post-sentencing motions, federal habeas corpus cases, probation and parole matters, and some district and circuit court trials in Maryland and the District of Columbia.